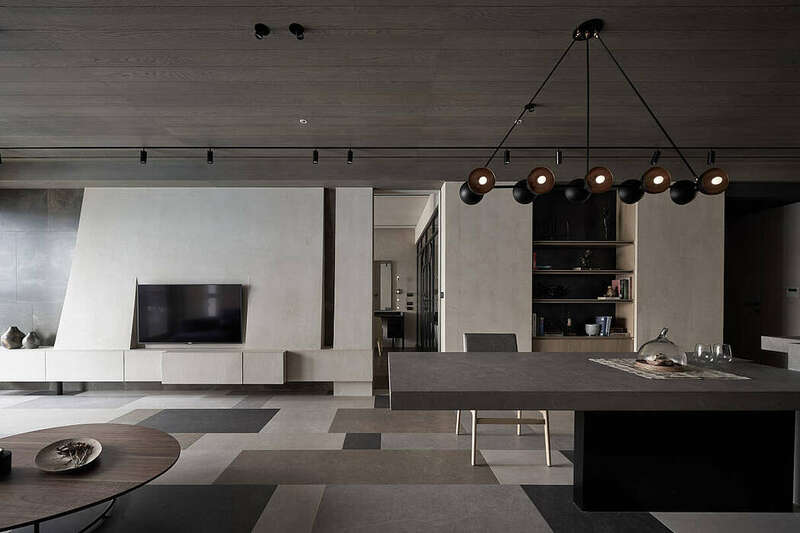 This inspiring apartment located in Taoyuan City, Taiwan, has been designed in 2018 by Peny Hsieh Interiors. This inspiring apartment recently designed by Peny Hsieh Interiors is located in the Xinyi District of Taipei City, Taiwan. This maisonette apartment situated in Glyfada, a southern suburb of Athens, Greece, has been redesigned in 2018 by Schema Architecture & Engineering. Hasler Homes recently completely gutted this mid-century contemporary bungalow located just a few blocks above the Edgemont village, near North Vancouver, Canada. Located in Whangaparaoa, New Zealand, this inspiring two-story house has been designed in 2018 by Creative Arch. A four story modern townhome set in the rolling hillside neighborhood of Noe Valley in the heart of San Francisco. Built for a young tech pioneer, the design is a playful combination of surrealist compositions of modern art and objects, eclectic vintage finds, and custom designs specifically for this home. Fresh colors, natural finishes, and organic shapes throughout identify these spaces as quintessentially ‘California Modern’. This modern midcentury house located in Teaberry, California, has been designed in 2018 by Cary Bernstein Architect. This modern two-story residence located in Queensland, Australia, has been recently designed by Luxbuilt. Wu’s house is a project recently completed by HOYA design. The apartment is situated in Taoyuan City, Taiwan.